Invest a lump sum and receive compounded returns. 1. How Much Money Am I Wasting on Mortgage Interest? 2. How Is Compound Interest Calculated on Savings? 3. What Is the Penalty for Paying Federal Estimated Taxes Late? Many payment plans let you choose between receiving a series of periodic payments or a single lump sump. Though the lump sum gives you your money upfront, the separate payments offer you more money in total. Yet the lump sum can offer you more in the long term, because you can invest it and receive interest on the large principal. The interest you receive after any single year depends on the interest rate and on how much of the sum you spend. Type the amount in the lump sum into a financial calculator, and then press "PV." For example, if you receive $100,000, type "100000." Press "-" and type the amount that you plan to withdraw each year. For example, if you plan to spend $10,000 of the payment per year, type "-10000." Type the interest rate on the sum, and then press "i." For example, if you will receive 5 percent on the sum, type "5." Enter the number of years before the year whose interest payment you want to calculate, and then press "n." For example, to calculate your interest payment after 4 years, type "4." Press "compute" and then press "FV" to calculate the balance at that time. With this example, you will have $78,449 after 4 years. Multiply this principal by the interest rate. Continuing the example, multiply $78,449 by 0.05 to get $3,922. This is your interest payment. Repeat the process for any other years whose interest you want to calculate. 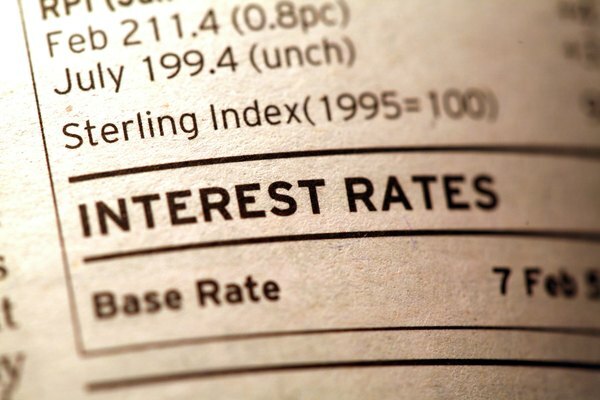 How Does Interest Work on a Revolving Loan? How Much Money Is Saved by Paying a Mortgage Before the Due Date? What Happens Once a Variable Annuity Is Annuitized?